When it's completed, it will be one of the most energy efficient homes in Saskatchewan, and yet it will still be passive. When it's completed, it will be one of the most energy efficient homes in Saskatchewan, and yet it will be passive. Holly Ann Knott is building her new house with a passive house design concept, which means it's airtight to achieve energy savings up to 90 per cent. 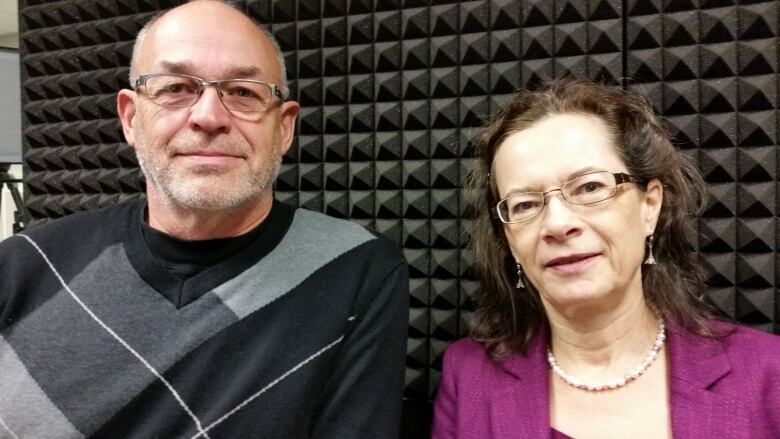 Knott and the contractor putting the home together, Robin Adair, joined Saskatoon Morning host Leisha Grebiniski to talk about how, exactly, a passive home works. Set to be completed at 1102 Temperance Street next spring or summer, it will be the first passive house in the province. "I'm surprised this hasn't become the norm in our climate, that people would be super-insulating their houses to start with." she said of the home. A passive house is an energy-efficient one; it's also a building standard that marks the building as ecological. Passive houses are built in a way that aims to reduce their ecological footprints, resulting in low energy usage for space heating and cooling. When building such homes, there are five main areas to consider, according to Adair. They're highly insulated — they're air tight and don't lose any heat — and there's no thermal bridging, which means there's no contact between building materials used with the ground or the air, he said. The home also uses super insulated windows, which "produce more energy than they lose;" and there's an air-to-air heat recovery ventilation system, Adair said. All those features mean that a furnace — a hot commodity on the ice-plastered prairies — likely isn't needed in such a house. "The energy demand is so low that we just need small amounts," he said. He estimates that the homes use about one-tenth of the energy used by houses with a furnace. As to why other people in the province haven't gone the route of redesigning their homes into passive houses, Knott said current building code standards may not encourage innovation. "Cutting edge; it's difficult to accomplish change," she said. "Life is all about choices," she said. "Some people choose to build a swimming pool, or re-do their kitchen. And we've chosen to have a passive house instead".